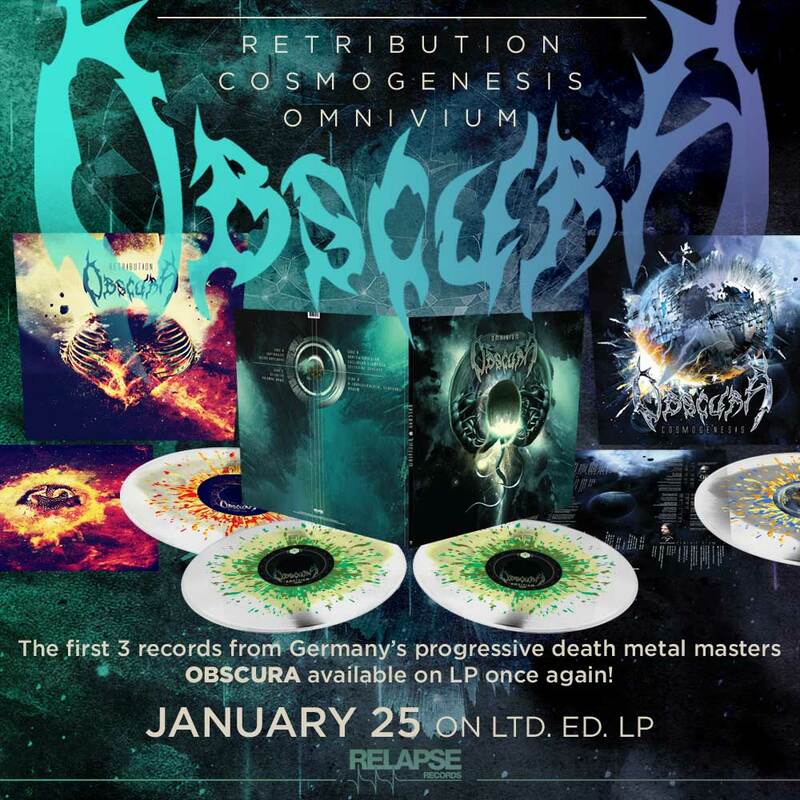 Germany’s progressive death metal masters OBSCURA announce vinyl reissues of the band’s first three albums (Retribution, Cosmogenesis & Omnivium). 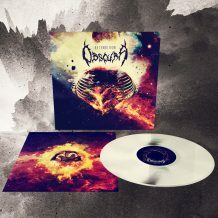 OBSCURA’s debut album Retribution is now available on vinyl for the first time ever and the long-out-of-print Omnivium is back in stock on 2xLP for the first time since the original release. 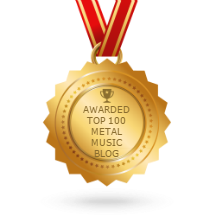 Omnivium finds the band pushing the progressive edges of the genre’s sounds to new heights while delivering the technical metal that has become their calling card. The band gracefully blends brutality and beauty with complex, commanding songs played at stunningly virtuosic levels. Reissue 2019. 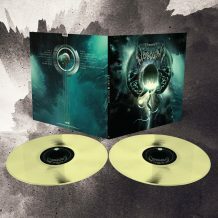 Limited to 1000/250 copies, worldwide. Release 25th of January 2019. Their debut Retribution is a beastly album blending the savagery of New York death metal with the fleet-fingered fretting of forerunners Death and Gorguts. 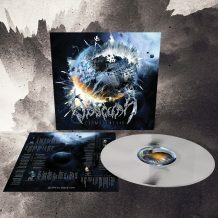 Retribution documents the first steps in the journey of one of metals most crucial new bands. 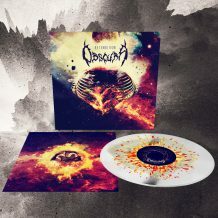 First Vinyl Edition. Limited to 1000/250 copies. Release 25th of January 2019. 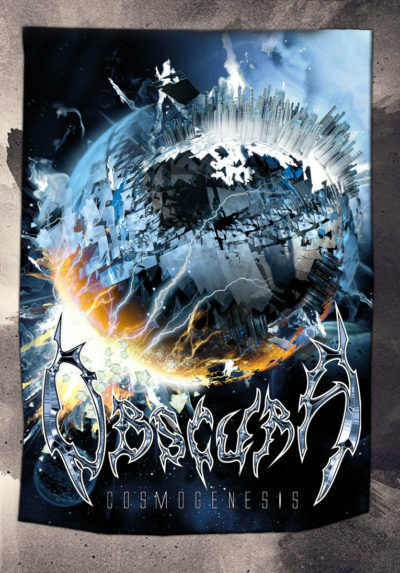 OBSCURA’s Relapse debut Cosmogenesis is a front-to-back stroke of brilliance that seamlessly fuses modern metals extremity, the upper levels of technical virtuosity, and the symphonic grace of progressive music into a flawless album experience. The band more than justifies their impressive pedigree with what became a timeless classic in the making. Reissue 2019. Limited to 1000 / 250 copies, worldwide. Release 25th of January 2019.